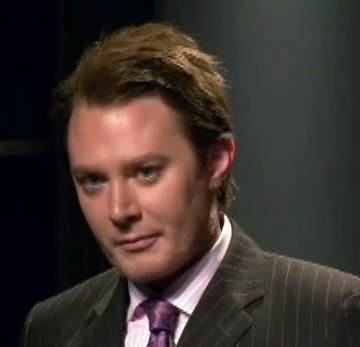 Clay Aiken – Speaks His Mind! 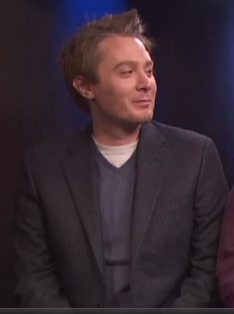 Clay Aiken held a Live Video Chat on his Official Fan Club on Wednesday evening. After a small technical “blip” at the beginning, most fans that were in attendance thought it was the best Video chat so far. Clay came across as relaxed and happy. He included his good friend, Cameron, in the chat. Cameron was on-screen and even answered some questions. Cameron’s girl friend was Clay’s roommate in college. Clay was dressed casually in his PJ’s and no socks!! He still doesn’t like twitter but will continue even after Celebrity Apprentice is over. In a strong voice Clay said that everyone needs to quit criticizing his hair…he will wear it however he wants! Asked if he will ever be on American Idol, he responded..No way in Hell. Since this was all on the Official Fan Club, I do not feel comfortable reporting anymore information about the chat. Clay and his team have asked us to not copy things from his site unless it is on the public side of the site. Certainly we will honor those wishes. I can share that Clay did not give any information about dates for concerts. It was such a fun chat. I hope most of you had the opportunity to watch Clay and hear his thoughts. For those of you who were involved with the chat, what was your favorite moment from last night’s chat? Chat was so great last night. Clay seemed so relaxed and it was fun having Cameron there. My favorite part was the trivia questions and phone calls,. How cool for the winners. what the dogs name was!!! I was disappointed that the Gala may not be in Raleigh this year!!! I loved the whole thing. He looked like he was having fun! Can't wait till Sunday! Thanks, musicfan! As always, right there for us. My favorite part was when he and Cameron were trying to figure out what question to ask to end the chat with, and Clay sort of as an afterthought said to include our phone numbers; then a good friend of mine was the first to answer (hard to do, there were over 700 fans in the chatroom) and he called her!! LOL!! My favorite part was when I asked him to give a shoutout to "Brittany" near the beginning of the chat… He read it something like "Can I give a shoutout to Brittany??? Then looked in the camera and said all sarcastically, NO!" hahahaha typical Clay! 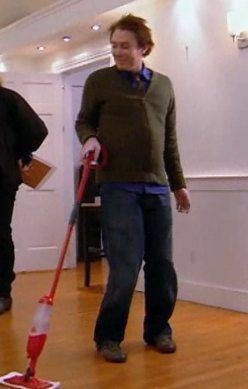 Gotta love him! This chat was so much fun, my favorite part was when Clay asked us questions and his side kick was alot of fun too, hope to see Cameron aging on the next chat,love you Clay. WHAT ABOUT THOSE WHO CAN'T AFFORD TO HAVE OFC DOES THAT MEAN WE ARE ANY LESS TO HEAR THE CHAT. johnnie f., the OFC offers a digital membership for 10.14 with tax for a one year period. That's what I have. Also, http://www.clayaikentheidealidol.com has the chat on their site. You can watch it there. Hope you enjoy. The site you mention does not show the chat…if they had it on their site it would be taken down immediately. They have a link to the OFC. Clay asks very little of his fans, but one of the things he asks is that we do NOT copy things from the OFC and I will always respect that. Thanks for clearing that up for us. I was trying to help johnnie f. although I spoke out of turn. I thought it was unusual to see the chat on that site, but I did not realize it was a LINK to the OFC and because I am a member it went thru for me. I also would not want to do anything to jeopardize what the OFC offers. My apologies. Some fans will gift memberships to others that can't afford it. I was a receipient of someone's kindness. Check on your Clay boards and see if someone is offering. I do understand why the chats are exclusive to members. I just thank generous members who don't want any of the rest of us to miss out due to unfortuneate circumstances. I loved it all, but I was excited when he said he was so excited that a fan, Christine, did not know his dog's name. That tells me he recognized her as a new fan. There were so many fun moments, but I loved his smile and excitement on that one. I loved all of it. I was glad his friend was there and Clay had him say a few things. Loved Raleigh being there. I especially liked the questions at the end. Clay seemed so relaxed and of course he was funny and spoke his mind , both of which I also love about him. I really enjoyed the chat last night. It was so fun. I think these chats are a bonus for those who spend the money to be a member of the OFC. In effect, we buy the chats…so, I wish everyone could see them, but its part of life! I love that you adhere to the rules from the OFC. Other people post the entire chat and that is a no-no! Favorite moments were when he saw a question that cracked him up and said he wouldn't answer that!! That was the best! Clay was relaxed and just kind of kickin' back, chillin' with friends…(Cameron and of course, us!). I loved everything about it from his wit and sharp tongued answers to his wonderfully perfect hair! Excellent…left me wanting more. I loved the whole chat. In fact, I have already watched it again..and I will watch it many more times. I liked when Cameron held Raleigh on his lap. At first he wanted to get down..but, then he acted like he liked it. He is a cute dog..and looks younger than 8 years. It was very exciting having him call the fans and listening to the whole conversation. I'm ready for another one. Hee!!! Also, Clay was looking mighty fine. Much better this time. The audio was clear and understandable. I like that he was having as much fun as we were. Error: Error validating access token: Session has expired on Tuesday, 21-Aug-18 16:13:01 PDT. The current time is Sunday, 21-Apr-19 22:44:34 PDT.